In July and August, stores are full of students and parents scouring the shelves for the best deal on school supplies. 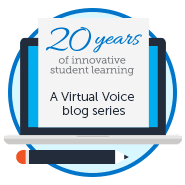 When a student signs up for FLVS, they often wonder, “What school supplies do I need?” While you may not need a glue stick or mirror for your locker when you take FLVS courses, there are a few items that you will want to have for a successful year. Florida Virtual School technology and courses make use of a wide variety of features and technologies, such as Java, Flash, HTML5, CSS2/3, and depending on the course, other specialized components that help you achieve a more immersive learning experience. Due to the wide array of technologies in our courses, there are some limitations to browsers and devices we can support. At present, we test and verify a wide variety of devices and have ongoing programs to migrate away from any technologies that are not compliant with newer mobile platforms. In general, lightweight devices such as Google Chromebooks or tablets that have very limited technology support for Java or Flash will not be compatible with the majority of our courses. Please ensure you have a Windows or Mac based computer available to complete coursework in the event that your selected mobile device does not meet the needs of the course. Learn more about our system requirements for more information. 2. A Strong Internet Connection: FLVS is web based, so you need to have a strong internet connection that can load our pages quickly. There is nothing worse than needing to wait a minute or two for a page to load. This can become frustrating and students often lose focus if it is taking too long. FLVS does not send textbooks or other materials to you. Our “textbooks” are all online in the form of your course lessons! 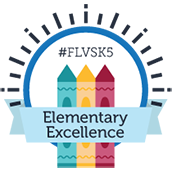 FLVS creates curriculum based on the Florida State Standards; there is no corresponding textbook as this course was made specifically for YOU! 3. A Flash Drive or Thumb Drive: It is inevitable that one day, you or your student will be working on an assignment, and a Florida storm will roll in and knock out your power! The best way to combat losing your work is to save it! Whether you save it on your desktop, a flash drive, or on the cloud, this will save you time and frustration for those unforeseen technical issues. While you can’t save all of your work on a flash drive, it is still a good practice if you need to move between devices. 4. A Notebook for Every Course: Yes, you can still color coordinate your binders and notebooks! Even though you are learning online, you will need to be taking notes throughout each course. Stay organized by separating notes for each course you are taking so you can easily find the notes that you need for your upcoming tests, DBAs, etc. If specific materials or supplies are required for an individual course, these will be listed in the course description. At the start of school, your teachers will outline any other requirements. 6. Printer: While a printer is not required, it can be helpful to print out guided notes for each course. Guided notes are outlines that you complete during the lessons to make sure you are focused on the most important points of the lesson. You may also find other assignments or information in the lesson that you need to print. However, try not to print everything, as it is not often a good use of your time or money (and ink is expensive!). 7. A Desk Calendar or Planner: A great way to get organized is to get a big desk calendar for your desk that you can write on. Before you begin your week, take your schedule or pace charts and plan out your week! Write down what assignments you will complete each day to stay on track. Don’t forget to also schedule time for your sports, extracurricular activities, time with family and friends, and any other events during the week that are important to you. A planner can also be a handy place to jot down phone numbers or “office hours” for your FLVS teachers, school counselors, or administrators. Note what courses you intend to take this year and long-term goals to help you stay on track. Elementary parents: View grade and course-specific supply lists for 2018-19 here. There you have it! Your school supply list for the year! While we may not have included everything that you will want for the year, we hope that this list gives you a place to start as you plan for success for the upcoming year! Happy shopping! Still planning out your school year? Browse our courses and take a look at our middle and high school course progression guides to explore your options. This entry was posted in Full Time Edition, Homeschool Edition, Parent Edition, Student Edition and tagged Advisement, Back to School, Back to School Traditions, Planning, School Supplies, Student Planning, Virtual School, Virtual School Supply List on July 30, 2018 by Anne Flenner. I really like reading about the new generation of buying school supplies. I think flash drives are one of the biggest tools you have listed, since most classes work on computers all day. My daughters school started using a program for buying school supply kits online and it has worked really well for me.